Rich, creamy, over-the-top peanut buttery fudge is so easy to make, you might laugh. 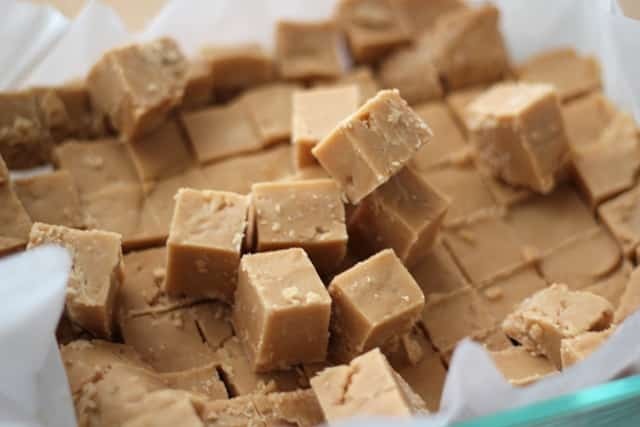 My brother tasted this creamy Peanut Butter Fudge at my house years ago and called us the very next night for the recipe. I gave him the recipe and he couldn’t believe this was all there is to it. With just four ingredients, this is one of the best peanut butter fudge recipes I’ve ever tasted, and it is also beyond simple to make. This fudge is an awesome way to impress someone with a gift that takes just minutes to put together. Put this recipe on your Christmas treat list now and skip the baking! There are so many terrific fudge recipes that my family loves. This 5 Minute 5 Ingredient Chocolate Fudge is everyone’s go-to recipe and it’s a favorite all year long. White Chocolate Caramel Fudge and Buckeye Fudge are huge hits as well and I highly recommend you add them to your holiday baking list. The secret is in the powdered sugar. It dissolves into the fudge smoothly without any grittiness at all. You can melt everything in the microwave or on the stove-top. However you make it, it’s dangerously easy. While I’m not usually a fan of microwave cooking, nothing beats being able to melt baking ingredients to the perfect consistency in just moments. I use these bowls and this spatula to make this recipe. PLEASE NOTE: The above video for this recipe is a HALF recipe for this fudge. The recipe can easily be halved or doubled or multiplied however you like. As pictured in the video, the fudge should be firm and crumbly when mixed together and pressed into the pan. It should not be liquid at all. Combine the peanut butter, butter, and vanilla in a glass bowl and melt in the microwave for 90 seconds. Stir to combine, it should come together very quickly and be smooth and creamy. Slowly add the powdered sugar a cup or so at a time. Stir to combine thoroughly. Grease an 8-9″ pan with butter or line with parchment. Transfer the fudge mixture to the pan and press into the pan. Chill for at least 4 hours before cutting. Store in an airtight container in the refrigerator. 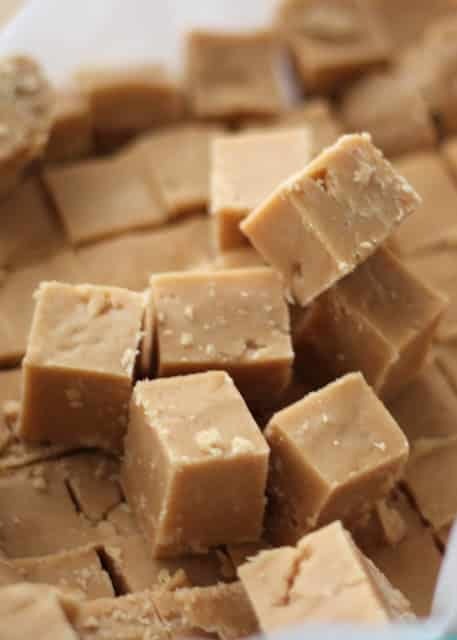 Rich, creamy over-the-top peanut buttery fudge is so easy to make, even the kids can make it. 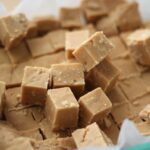 This is one of the best peanut butter fudge recipes I’ve ever tasted, and it is beyond simple to make.This recipe is gently adapted from Alton Brown's recipe. DIRECTIONS for the microwave: Combine the peanut butter, butter and vanilla in a glass bowl and melt in the microwave for 90 seconds. Stir to combine, it should come together very quickly and be smooth and creamy. Slowly add the powdered sugar a cup or so at a time. Stir to combine thoroughly. DIRECTIONS for the stove-top: Combine the peanut butter, butter and vanilla in a medium-size saucepan over medium-low heat. Stir to combine, it should come together very quickly and be smooth and creamy. Remove the pan from the heat and slowly add the powdered sugar a cup or so at a time. Stir to combine thoroughly. Grease an 8-9" pan with butter or line with parchment. Transfer the fudge mixture to the pan and press into the pan. Chill for at least 4 hours before cutting. Store in an airtight container in the refrigerator. Enjoy! TOO MUCH BUTTER...I think there is a discrepancy in this recipe. It calls for 1 cup of butter, which is 2 sticks, which is an awful lot. But in the video it shows only a half stick being used....which would make sense as to why some people are ending up with a goopy mess instead of firm fudge. Even if she halved the recipe it would be one stick. Not half a stick. For what it's worth, the video actually shows a full stick of butter (half the butter listed in the recipe) and I will never EVER again make a video for a half recipe. This has caused endless confusion. Sigh.If the recipe is made exactly as written, there is no reason I know of why it shouldn't work perfectly. I have made this fudge more than a dozen times and it works exactly the same as the video every time. Made this fudge the other night while my sister was in town. We absolutely loved it! Followed the recipe exactly as posted and it turned out perfectly. Made the fudge as directed for Christmas at my mom's house, everyone loved it, even my aunt who doesn't like fudge liked it. Great, and easy, recipe. Now to make some for a New Year's Eve party! This recipe was fantastic and came out just fine. The cup of butter is NOT TOO MUCH BUTTER. Any less and it would be way too thick. If people had problems with this recipe then they can't read or follow a recipe. Forget about the video. Who cares what it shows. It's just to help with the steps. Nowhere in the video does she state amounts for ingredients. 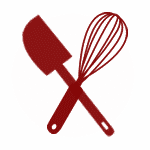 I've seen many people make small batches of a recipe in a video. Follow according to the written recipe and you won't have any issues. Thanks for sharing. It was delicious. I just wanted to confirm that I made this again and had no problems. I used Kerrygold unsalted butter and Justin's peanut butter and added a pinch of sea salt. I highly suggest using an all natural peanut butter that only has peanuts and oil in it. Justin's is nice because it it does not need refrigeration and does not separate. Using a cheap peanut butter like Jiffy is loaded in sugar and is disgustingly sweet. You're already adding a ton of powdered sugar. Plus, the texture is different.